Acai Berry Facts: Valuable Weight Loss Supplement Or Waste Of Money? Fact or fiction: everything you need to know about Acai Berries. Do acai berries work for weight loss? If you believe what you see on TV, they work wonders. If you believe what you read on the internet, acai berries are the solution that you've been looking for. But what's the real answer? Let's take a look. Acai berries -- what are they? Acai berries are the fruit of the Euterpe oleraceae, a large South American palm tree. The berries are used in the Amazon region as food. They have become popular as dietary supplements. They have been featured on popular talk shows by celebrity guests and celebrity doctors. The result? A huge industry has grown up around acai berries and weight loss. One web site promises that "you should expect an average loss of 20-25 pounds in a span of 2-4 weeks." And the photos -- before and after -- of beautiful people and their wonderful success. Well, fantastic. A 25 pound weight loss in as little as 2 weeks. That's certainly something of a miracle. Who wouldn't simpy dive at such an offer? So acai berries are proven to help with weight loss, right? After all, it says so right in the advertisements. Let's see what the research shows. Where to check? How about the United States National Library of Medicine, the largest medical library in the world. They should have the information we need. What do we find when we search Pub Med, which reports all studies from the National Library of Medicine? Surprisingly, Pub Med does not list a single study using acai for weight loss. No studies to date on acai berries for weight loss? Why is this? With all the television and print and internet buzz over acai berries and weight loss, why no studies? 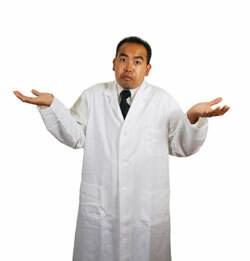 To answer this you have to look at how and why scientific studies are done in the first place. Before you undertake a scientific study, with all the difficulties, the expense, the time and effort, you first choose something that you think might have a chance of success. You have to ask, "Could it work?" Otherwise you would be spending your time and money and effort for nothing. Is there reason to expect it to work? So before you did expensive testing on a new weight loss product you would ask yourself these questions: First, what are the factors that are known to cause weight loss and weight gain? Second, what are the properties of this new product? Third, by comparing these two things -- the factors that cause weight loss and weight gain compared to the properties of this new product -- is there reason to think the product might actually work? This is where scientists start -- with a hypothesis. In this case the hypothesis would be, "Acai berries help promote weight loss." So what causes weight gain and weight loss? What causes someone to be lean and healthy, with a proper amount of body fat? What makes the body efficient at burning calories and fat? And what makes the body efficient at storing fat? Storing of fat has to do with a number of factors. Excess calories in the diet. Lack of lean body tissue. Appetite stimulating hormones. Enzymes that promote fat storage. Breaking down fat and burning calories has to do with the amount of lean body mass you have. With the amount of stimulation you provide your body through exercise. It includes proper sleep and adequate vitamins, minerals, water and sunlight to ensure that your nervous system works right. So you have a high metabolic rate. There has been a fair amount of research done on acai berries -- not weight loss studies, but other testing. What does the acai berry science show? Research has shown that the berries are high in certain chemicals. Scientists call these chemicals that are produced by plants "phytochemicals" -- from the Greek word "phyto" meaning plant. Now, it's easy to get lost in all the fancy words that go with these chemicals. So we'll keep it simple. These phytochemicals are mostly pigments, and they give the fruit its color. The primary pigments are anthocyanins -- from the Greek "antho" meaning flower and "cyanin" meaning blue. Anthocyanins give color to blue, purple and red plants. Acai berries are rich in anthocyanins and related chemicals. Acai berries contain complicated chemicals known as anthocyanins. These chemicals give them their color and account for their health effects. But what exactly do they do? And how do they work in your body? The simple answer is that the color of these chemicals comes from them having a unique and complicated structure. It's that complicated structure -- the shape of the molecule -- that allows them to absorb light at certain frequencies. Absorbing one wavelength of light and not others gives them their color. These same properties allow them to absorb activated forms of oxygen and protect you from damage. They are "antioxidants." Acai berry research shows they are rich in antioxidants. The word "anti" means against. And "oxidant" refers to the effects of oxygen. Now, you need oxygen, but oxygen can also be very harmful. Oxygen tends to be very vicious. It can react with a lot of things. Just like in a fire, it can get out of control. Oxygen in the body can get out of control. The wrong forms of oxygen can lead to diseases of the heart and blood vessels and premature aging. Too much oxygen can actually make you go blind. So your body needs antioxidants, which are chemicals that your body uses to take up the harmful forms of oxygen and keeping it from causing more damage. Acai berries have antioxidants. So do grapes. So do blueberries. So does watermelon. Is there some magic about the antioxidants in acai berries? Actually, no. They are just like the other antioxidants. Take a look again at the lists of things that store fat and break down fat and build lean tissue. There is nothing in those lists about protecting your cells from oxidative damage. Protecting your cells from damage from harmful forms of oxygen is important. But it really has nothing to do with you gaining weight. Or losing weight. It doesn't affect calorie balance, fat storage, metabolism of resting muscle tissue or any of the other things that make you gain and lose weight. There are a lot of berries that have antioxidant properties, just like acai berries. And there are a lot of other fruits and vegetables with antioxidants. Acai berries are not really unusual. In fact, despite the antioxidants, too much fruit is not good for dieters. It is fine to eat some fruits, perhaps an apple a day. But excessive fruits are actually harmful to your diet. And juices should be avoided, particularly if you are overweight. They are full of simple sugar. You've been told that fructose is good for you. But fructose has some properties that cause disturbance of normal metabolic pathways. Fructose is taken up by the liver and turned into triglycerides. Triglycerides are fats that circulate through your blood. Fructose also bypasses the normal hormones that make you feel full. So eating too much fructose leaves you feeling unsatisfied. This can lead to overeating and weight gain. Fructose may also be associated with the development of insulin insensitivity. So when you need to lose weight you should consider the risks as well as the benefits of a fruit based diet or supplement. You'll notice that none of the companies that are selling acai berry products do any weight loss research. If acai berries work so well, why don't they fund a study? Wouldn't that help them sell more of their product? They don't because they are smart people. They know what's in the supplements. They know what their products do. And what they don't do. They know what a properly done test would show. That they couldn't prove a benefit for acai berry supplements. So they wouldn't do such a test. On the other hand, maybe the research is just being suppressed. Is the FDA or the AMA or "big pharma" suppressing acai berry research? You can be sure of one thing. There is no one suppressing any research on weight loss. There are many thousands of scientists who would only be too glad to be able to report the latest research about effective weight loss methods. You cannot suppress that kind of information. Think about it. Tens of thousands of researchers eager for positive results. Fame and fortune. Scientists drool over opportunities to do that kind of research. And a study like this would be easy to do. Get 60 people -- thirty in each group -- and let them test acai berries for a month. If the results were as spectacular as they claim -- "20-25 pounds in a span of 2-4 weeks" -- the results would be more than obvious. But what about the success stories? Do some people lose weight while taking these acai berry products? I'm sure that some do. But common sense would tell you that any weight lost when using acai berry drinks and potions and supplements is lost for other reasons. People that start weight loss programs don't just take the supplements. They change their diet. Increase their activity. Make better choices. Those things do cause weight loss. Acai berries are a good example of how you can be misled with diets and weight loss. It's really a simple story, and one that is commonly repeated in the weight loss field. First, researchers found that acai berries had some beneficial health effects. That's not surprising. Most edible foods have some good health effects. Then the marketing people took over. They looked at it and said, "Where can we use these acai berry facts to make money?" Weight loss is an obvious way to make money, for several reasons. One, there are a lot of overweight people. Two, the average person doesn't understand much about nutrition. Three, permanent, stable weight loss is difficult. There's a tremendous market for people who are looking for the easy, miracle solution. So they can be sold most anything. Tell them it's the latest and greatest, and they'll buy. They'll buy even if there is no connection between antioxidants and weight loss. And even if there is no reason to expect that acai berries would help them lose weight. So what about the experts that say it is wonderful? It depends on which experts you mean. If you are talking about the talk show hosts, are they qualified to judge acai berry facts? They aren't weight loss experts. Their purpose is to generate audience interest for the benefit of their sponsors. The celebrity endorsers? They're not experts either. They might be pretty people. They might be sincere. But they don't have training in nutrition and they are just as influenced by the tremendous amount of dietary false information as you are. What about the doctors that appear on these shows and in the ads? Some of them appear to be reputable people with impressive resumes, lists of scientific papers and fancy university degrees. The fact of the matter is they went astray somehow. Maybe they are skilled doctors in their own field, but weight loss is another field entirely. Maybe it's the money. Money can have a bad influence on people. But in any case they should know better, and maybe they do. Soon there will be another weight loss "miracle" product. Acai berries will be gone in a while and there will be something else to take your money. It will be from a plant that you never heard of grown in a place you can't even find on a map. Apparently the more exotic sounding it is the more believable it is. No "latest wonder" supplements were ever discovered growing in a ditch in Newark or in a vacant lot in Culver City. So keep your eyes open and don't be swayed by the hype and the crowds and you'll do fine. In weight loss there's not an easy way. But there is a right way. And persistence brings success.